Game is freaking cancer. The players will hopefully all contract it. I haven't tried this yet.... seems like all you do is get airdropped on a massive playing field and then randomly snipe other players. Is that the gist of it? Yep. Also, running towards an ever-shrinking circle. It's hard and unforgiving , sometimes frustrating but utterly brilliant when you win. 360 hours + game time so far and I am not even close to getting bored . played from before early access. The game is THE only game in YEARS that got my heart beating and pumping. When it's you and ONE other man left for the win out of 100, you want that win, and it makes you feel rewarded in a psychological kind of way. The game shines with Squads, because the game requires resource sharing (guns, ammo, meds) a feeling of being rewarded for seeking out loot, and you'll be rewarded with just pure skill and fun if you and your team communicate well, calling out targets (north south east) it's unbelievable. That all being said, the game feels aged, and they have missed so many opportunities for potential within this game. That's what annoyed me about PUBG, using the U4 engine, the same engine used to make last of us....and your graphics look like that?...and player movement feels like a 10 year old shooter? they recently added climbing and vaulting, but it feels aged to be honest. All the negatives aside, it's a fun experience and the positives out weigh the negatives. The only one complain I have, is that the server lag and dysnc is unacceptable for a multiplayer only game, if they fix that for the official launch on the 20th when they leave early access I'll be satisfied. Just wanted to note that I'm pretty certain "The Last of Us" was not made in Unreal. Also, seeing how willingly Steam users will throw money at just about every game that allows them to decimate their friends, I'd say going for the Spartan look of an "ArmA" mod was the right decision. I stand corrected, it is their own engine, thanks for that. I suppose the unreal engine is showing its age then, or devs just haven't used it to its fullest potential. I feel the animation system and world interaction with the characters is just not up to date with modern engines. HellBlade is a acceptation to that rule I suppose. 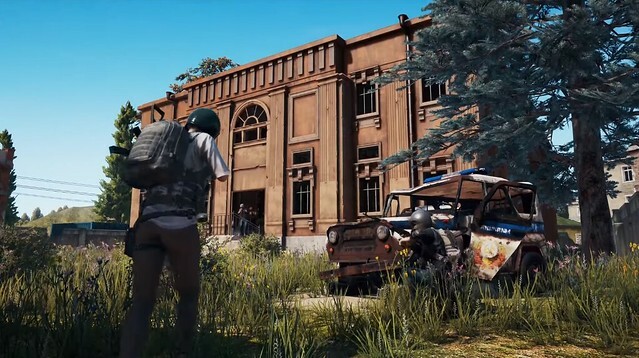 For what battlegrounds is, I feel the graphics could be better, especially with character creation being a important part of it, earlier dev videos showed they planned to expand to tattoo and patch placement on cloths, unless they dropped that idea. I have close to 300 hours in the game myself and it's the only thing that made me switch from playing FPS's on a console to which I was a loyal "peasant" for the past decade. I actually bought a new machine just for this game. ElektroDragon, the gist of the game is that you follow the same route over and over again, jump in a lobby, get thrown from a plane with a hundred people and you start killing each other until one survives. On paper I should have been bored out of my mind of the game by now but the mechanics are built so that every interaction is unique and your play style makes each round different from the previous one. And when you throw the squads in the mix it's a totally experience making it an infinitely better game. As long as this is not going to be switched to a F2P(aka pay to win) model I'll keep playing.